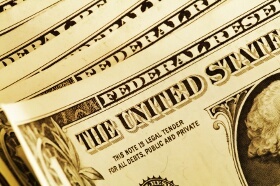 The US Dollar was hurt by the monetary policy decision of the Federal Reserve, ending the week relatively soft. Yet there were even weaker currencies — the Great Britain pound and the New Zealand dollar, which suffered from the monetary policy outlook. The Federal Reserve made no changes to its monetary policy and revised the projected path of interest rates lower. That made the dollar weaker, though the currency regained some strength by the weekend as market participants were speculating that the Fed is going to raise rates by the end of the year. The Bank of Japan was also passive, but in that case the passiveness was beneficial to Japanese yen. The Reserve Bank of New Zealand also conducted a policy meeting this week, and it maintained its policy stable as well. Yet that did not prevent the New Zealand dollar from falling as the bank continued to send a signal about monetary easing sometime down the line. EUR/USD advanced from 1.1151 to 1.1225 over the week. USD/JPY dropped 1.1% from 102.11 to 100.99. NZD/USD was up from the open of 0.7253 to 0.7367 during the week but retreated to close at 0.7242.